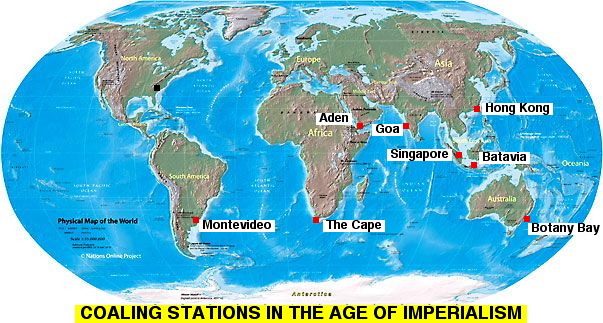 After the end of the Fifty Years War, they gained a new lease of life in the Age of Imperialism. The mighty juggernauts now crisscrossing the face of the globe needed coal and other supplies, which their ruined homelands in the European wasteland could no longer provide. So the remaining colonial outposts became coaling stations, refueling and servicing the juggernauts. 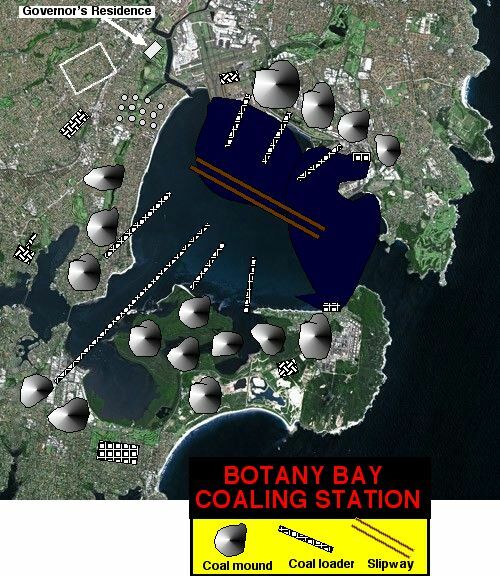 One such coaling station was Botany Bay, originally founded as a British penal colony on the east coast of Australia. In real history, it so read and grew into the city of Sydney; in alternative juggernaut history, it survived to become a supply depot. Unlike most coaling stations, Botany Bay has its own reserves of locally mined coal. The convicts are used as slave labour and kept in concentration camp-like conditions. The soldiers and officials maintain the traditions of the British Empire, although no actual British authority remains. At the time of Liberator, the Governor is Sir Peggerton Poltney.